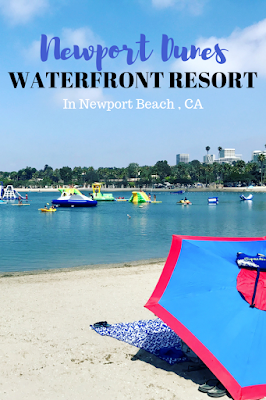 Imagine your relaxing on your own private beach with views of the Newport Back Bay at every turn. We had the chance to do just that last week and it was a wonderful end of summer outing. We are fortunate in Southern California to be able to enjoy warmer weather farther into the fall season. Newport Dunes Waterfront Resort sits along alcove of the back bay of Newport Beach, California. There are gorgeous views of the water and a sprawling one mile stretch of sand. It's about a 35 minute drive from us here in North San Diego. Not to shabby. While Newport Dunes is open to cottage rentals and RV stays year round, the waterfront area is open seasonally at select times for day use by locals. Its open daily during the summer. 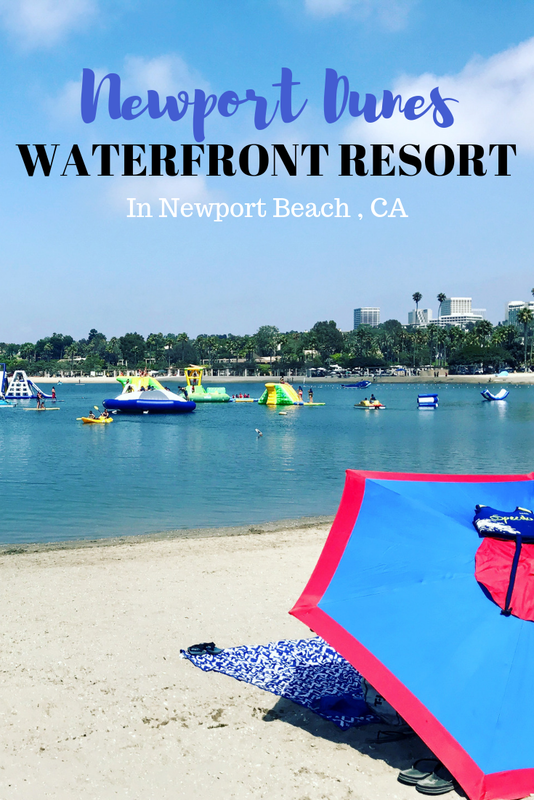 To visit Newport Dunes Waterfront Resort for the day, it's $25 per person (during the summer) for the use of the water playground. That includes several massive inflatables. There are inflatable slides, many climbing structures, and a big "blob" (Where apparently it is fun to play a game called "king of the hill"? I don't know ask my son about it. ;-) ). 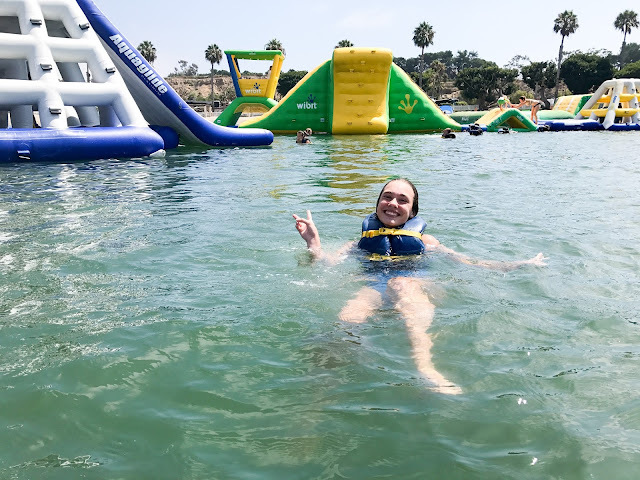 Anyone wanting to use the water playground MUST wear a life vest. 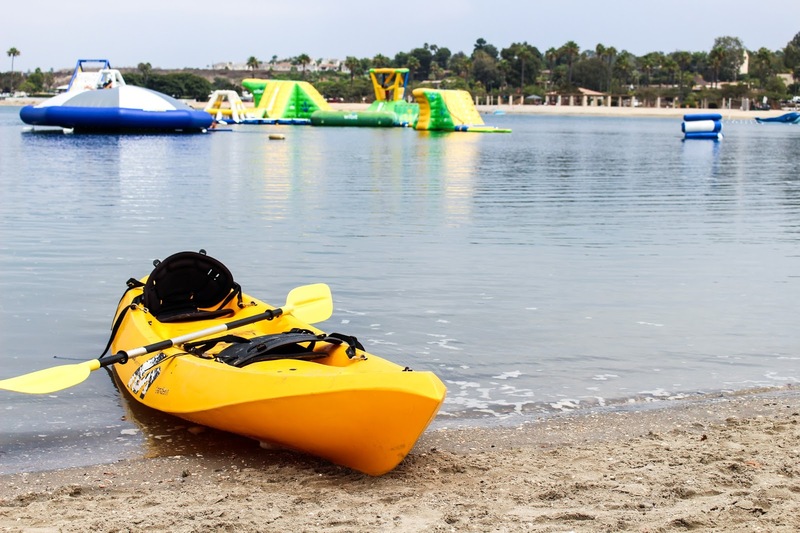 Its good to know that there are several lifeguards stationed in the water and on the inflatables to ensure everyone has a safe playful experience. With your lifejacket on, you swim from place to place for hours of fun! Typical Newport morning means there's a nice marine layer that shields the summer sun, it burns off for an afternoon of sunshine. 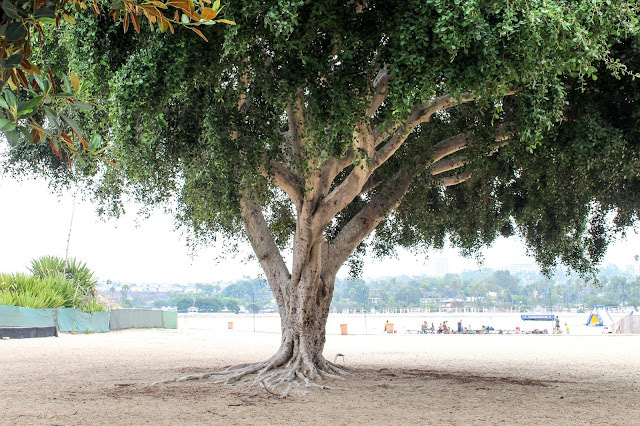 You'll find plenty of shade at Newport Dunes Waterfront Resort. Around the grounds are larger trees protected by a conservation program that not only prevents them from being torn down, but also trimmed without express permission from the county. The trees add such great character and much need shade to the resort. This tree in particular sits adjacent to the out door movie screen. In the summer the resort holds several community movie nights. Moe B's Watersports is on hand to rent out a wide variety of water sport activities including paddle boarding, pedal boats, kayaks and more. Prices vary. My kids loved all of the options. My daughter's favorite is the stand up paddle boards. 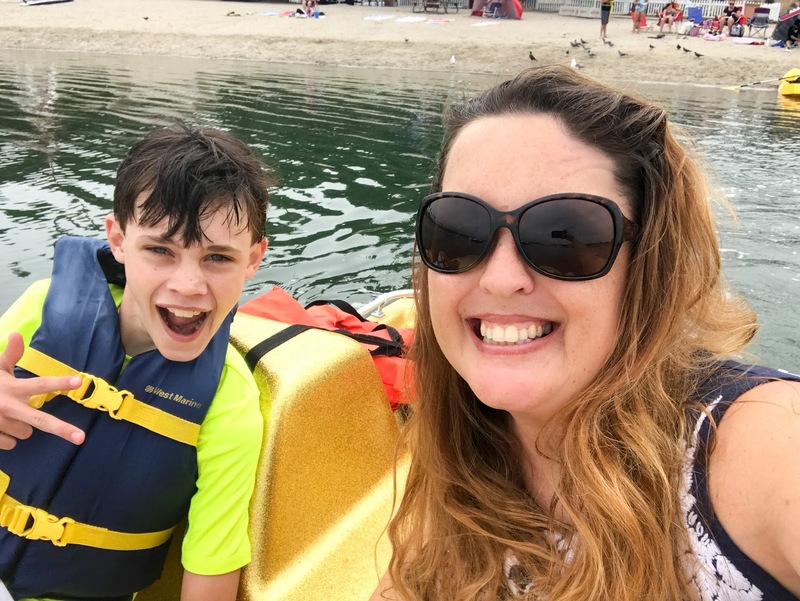 My son loves the pedal boats. They are surprisingly easy to maneuver with two people pedaling. 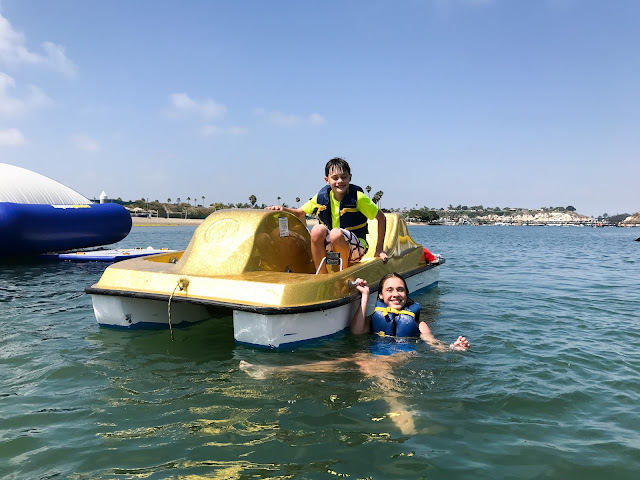 The pedal boats at Newport Dunes can carry anywhere from 1 to 4 people, so it is a fun family rental. 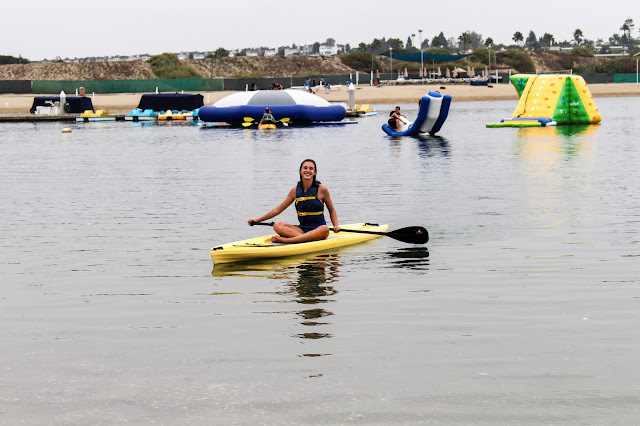 There are several options available to you if you want to stay overnight at Newport Dunes Waterfront Resort. RV camping, tent camping, camping cottages (like glamping), beachfront cottages and full cottages with maid service and ovens. RV spots are a good size, many with shaded trees and patches of grass. The various cottages are throughout the resort. They are one bedroom with a loft and pull out couch. Beachfront camping cottages look a little different. They have a kitchenette instead of a full kitchen. Be sure to ask which cottages are beachfront. 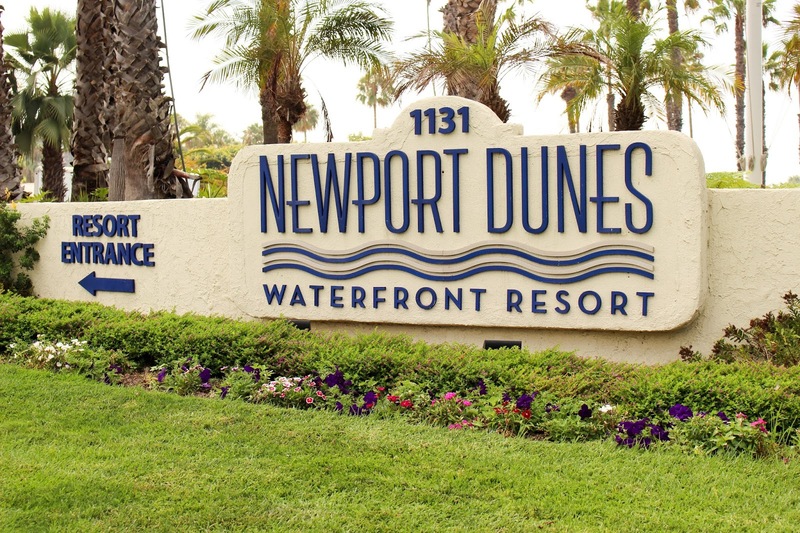 Accommodations very close to the water, some with direct beach access. Back Bay Bistro restaurant on site for when you don't feel like cooking. Plenty of shade and trees and grass. 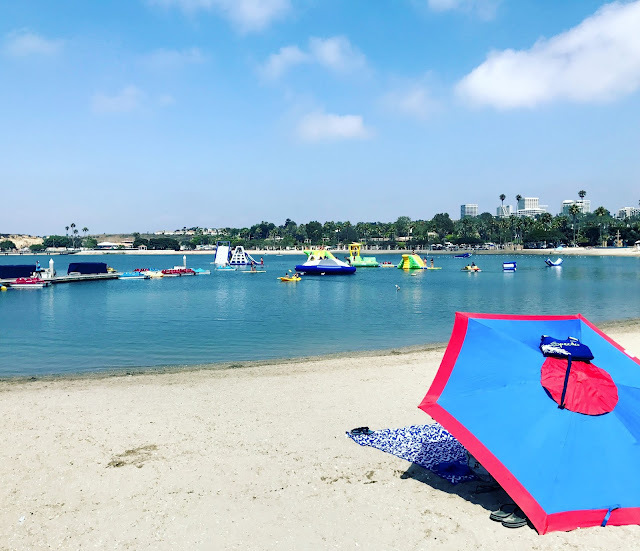 You are welcome and encouraged to bring all your beach goodies like beach chairs, umbrellas, blankets, towels, and coolers. Don't forget the sunscreen! 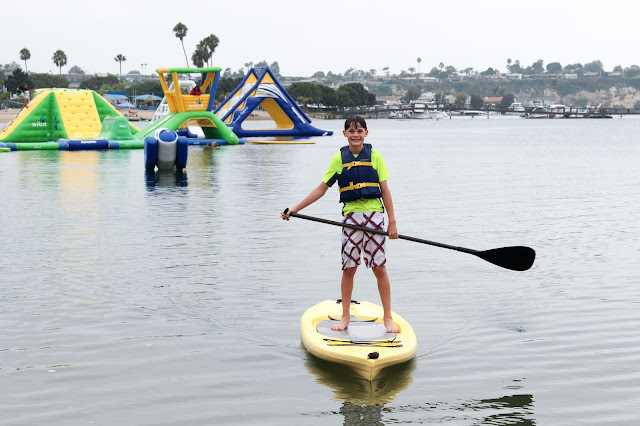 Special thanks to Newport Dunes Waterfront Resort and Marina for hosting us for the day so we could share with you!